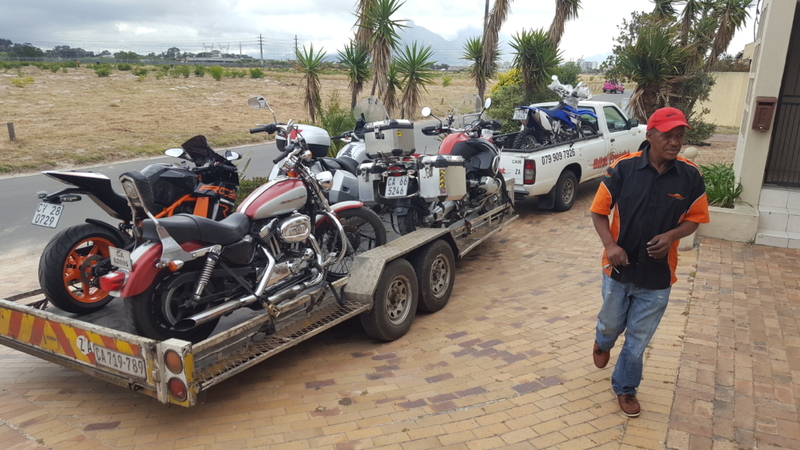 Motorcycle transport trip 261 Transporting motorcycle all over and Namibia. More great testimonials received in recognition of the high levels of service we offer. A couple more recent testimonials to great service. My BMW bike was delivered at my house in Wellington this afternoon. I am very happy with the way you helped me. Thank you very much. 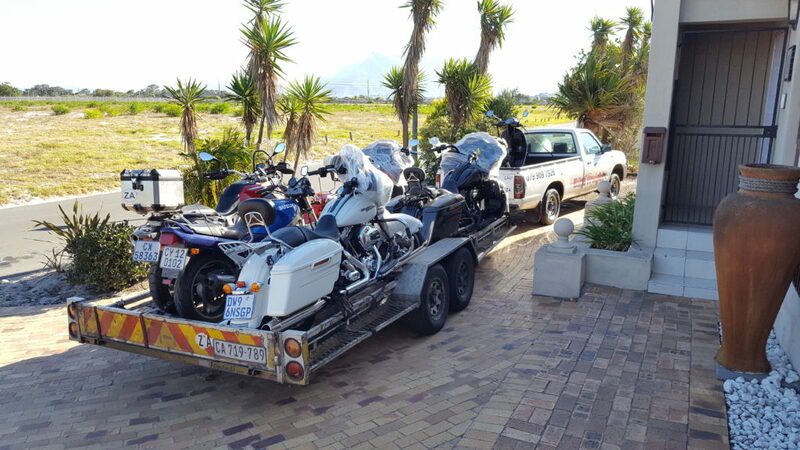 Loaded up and ready to leave Cape Town. 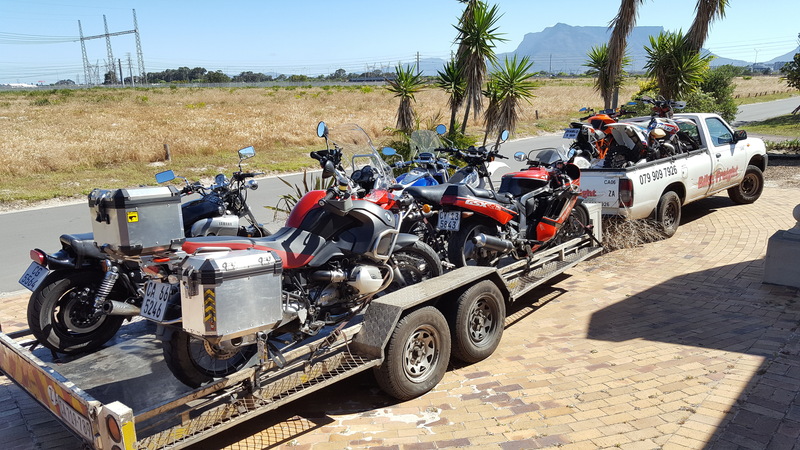 Transporting motorcycles all over SA and Namibia. Multiple door to door trips every week. All motorcycles, tuc tucs, quads, scooters, golf carts and trikes. Harley Davidson, Kawasaki, Honda, Yamaha.